Fleece Pet Blanket Just $1.78 PLUS FREE Shipping! You are here: Home / Great Deals / Amazon Deals / Fleece Pet Blanket Just $2.22 PLUS FREE Shipping! Fleece Pet Blanket Just $2.22 PLUS FREE Shipping! This is a great deal right now on this cute fleece pet blanket! You can get it for just $2.22 PLUS FREE shipping! 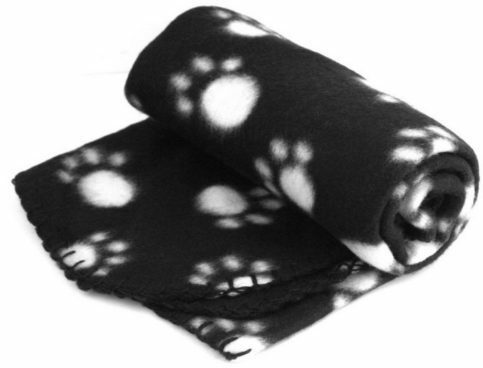 A wonderful pet blanket made with soft fleece with special pet designs that you will love! Can be used in a crate or for those of you who are training your dog this is perfect for “their space/place”. Why not train your pet to lay on their own blanket and having their own blanket to lay on will take the stress out of trips and overnight stays. Be sure to also check out our Pet Deals Roundup <— here!